White spot lesions are very common both in kids and adults. One of the challenges with these lesions is how to treat them. There are several approaches from trying to bleach the surrounding tooth structure to make the color difference less noticeable to repairing the area with a composite restoration. The challenge with the bleaching approach is most often these areas are decalcified and need mineral support to the tooth structure. On the other hand taking away the lesion with a bur and restoring seems overly aggressive. In recent years I have been treating many of these lesions with MI paste and seeing great results. I recommend taking before and after photos to document the improvement. Here are the recommendations for using Mi paste to treat white spot lesions. • Apply etchant (phosphoric acid)to the white spot lesions for 10-30 seconds. Be careful not to over-etch the teeth. 1 minute is the maximum exposure time to the etchant. Only etch the white spot lesion, not the entire tooth. •Pumice the tooth for 10 to 30 seconds, non-fluoridated, non-glycerin flour of pumice and then rinse. • Dry the tooth. The tooth will appear frosty after the etch/pumice application. Sometimes it is necessary to etch/pumice a second time. • Apply layer of MI Paste on the etched tooth surfaces with a prophy cup and leave on the tooth surface a minimum of 5 minutes. More time is better and improves remineralization. We send our patients home with custom trays to continue to apply the MI paste for 5 minute sessions, twice daily for a week before we will see them to evaluate the results. Post-op instructions include nothing to eat or drink for 30 minutes after leaving the office, and to avoid foods that are likely to stain their teeth like wine, coke, coffee during the remineralization process. We schedule to evaluate the results in 1-2 weeks, and repeated treatments can be done to improve the results. Thanks for putting your step by step procedure down. I can’t wait to try it! What is the fee for something like this and is there a code? There are several codes you may want to know about. Enamel microabrasion (Code D9970) is identified as the removal of discolored surface-enamel defects resulting from altered mineralization or decalcification of the superficial enamel layer. It is traditionally submitted to the benefit plan on a per treatment visit basis. If you decide to also make a tray for home application, the fabrication and delivery of the customized tray is considered to be part of external bleaching Codes D9972 (per arch) and D9973 (per tooth). The tray is not identified separately. As for fees I think it is highly variable, and you can do it as all encompassing or per treatment since the number of treatments is unpredictable. 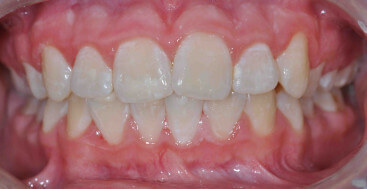 But sometimes the white spots or “streaks” is fluorosis right? My daughter’s upper anteriors erupted with these white spots (along the mesial and distal line angle) I’m assuming decalcification happens after eruption and our city’s water is fluoridated (0.90 monthly average) so I’m thinking the white spots were caused by too much ingested fluoride. Am I thinking correctly? 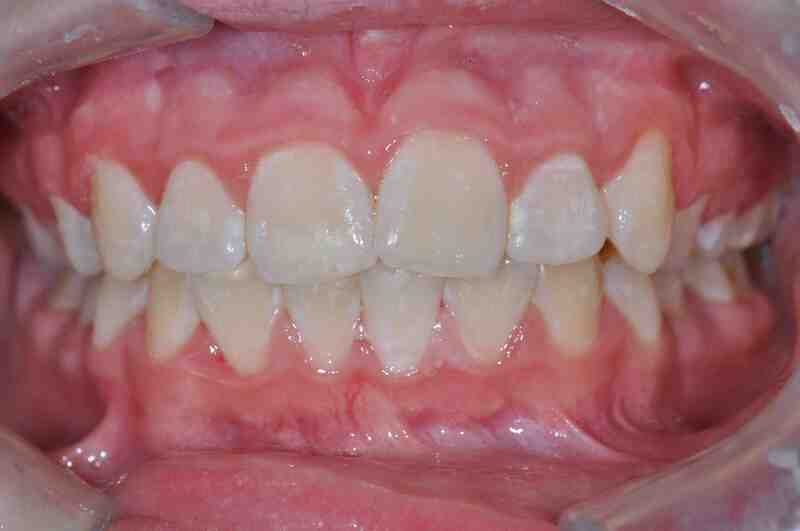 Will your Mi Paste procedure help with fluorosis? BTW great lectures today !!! You are correct that not all white spot lesions have the same cause. this protocol works for the ones caused by demineralization, not fluorosis or other causes. So no MI Paste will not help for fluorosis. I tried your protocol and had great results. I wish I could post pictures here. I did notice the recalcified areas calcified a little darker with some brown spots. Overall it improved but do you have some insight on what could be done to prevent that from happening? I could email you pictures. One more question…how does future teeth bleaching affect these formed white lesions? We had a patient whose mouthrinse (Scope) caused dark stains. After researching and reading the bottle, this incident was not uncommon. Be aware of this and avoid products that cause this type of reaction/ staining.